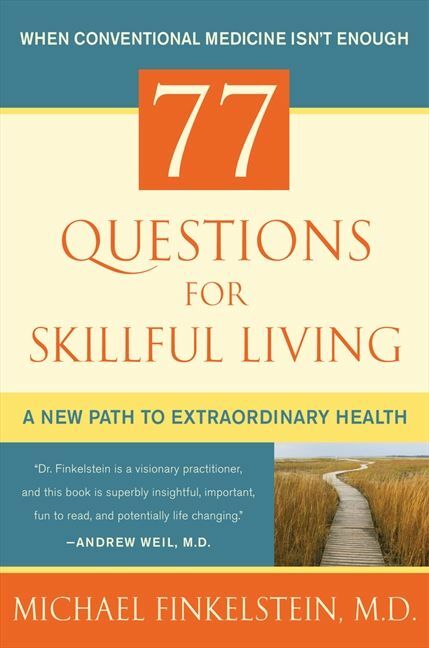 77 Questions for Skillful Living from integrative medicine pioneer Michael Finkelstein, M.D., guides readers through the questions that will help them understand wellness on a deep level and offers a new path to extraordinary health. Dr. Finkelstein outlines his groundbreaking methods and gives readers the DIY tools they need to manage their own recovery from arthritis, diabetes, and other chronic illnesses that often go unresolved in the modern American healthcare system. Each chapter in this essential handbook includes the key components of a successful consultation—from illuminating lessons to practical prescriptions—and is filled with illustrative anecdotes from real patients. 77 Questions for Skillful Living examines the physical, psychological, environmental, and spiritual factors behind many common illnesses, and empowers you to take your health into your own hands, and to alleviate chronic conditions through conventional and integrative means.